I spend a lot of time researching where my food comes from and it is very important to me to buy whole, least-processed foods, and to limit my family’s sugar intake. So, what I learned about agave syrup was very disheartening. 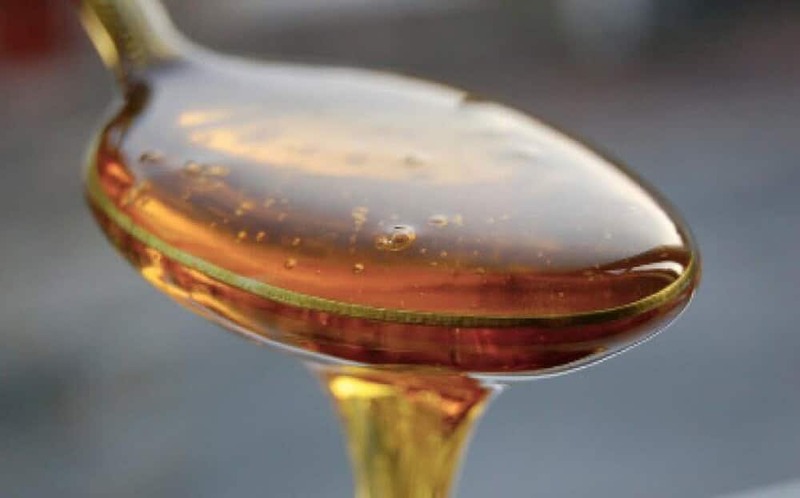 Agave syrup or “nectar” is often touted for its low glycemic index—meaning that it is relatively low in glucose, and therefore does not raise blood sugar as much as other types of sugar or provoke as much of an insulin response. It may be low in glucose, but agave syrup is very high in fructose, a type of simple sugar found in fruit that can only be processed by your liver. People tend to think that fructose is a benign sugar because it is found naturally in fruit. But, despite the name “fructose,” ounce for ounce, whole fruit actually has a relatively low concentration of fructose (10-20%) compared to processed sweeteners like agave nectar, high-fructose corn syrup, or cane sugar. And whole fruit comes with fiber and water that reduce how much of it you can eat, making it hard to consume very much fructose from fruit at all! So just how much fructose is in agave nectar? Agave syrups and nectars can often contain 70 to 90% fructose! Nowhere does this ratio of fructose to glucose occur naturally. By comparison, high-fructose corn syrup (HFCS) has 55% fructose, and white cane sugar has just 50% fructose. It should really be called HFAS: High Fructose Agave Syrup! The fact that agave syrup is high in fructose is often hailed as a benefit of using it. What many people don’t realize is that concentrated fructose is probably worse for you than high amounts of glucose. Fructose interferes with copper metabolism. This prevents collagen and elastin from being able to properly form. Collagen and elastin are components of the connective tissue which essentially holds the body together. A deficiency in copper can also lead to porous bones, anemia, defects of the arteries, infertility, high cholesterol levels, heart attacks, and an inability to control blood sugar levels. When you take in fructose, it must first travel to the liver before it can be converted to glycogen—a source of energy. But if you don’t immediately burn this energy, the fructose gets converted to triglycerides—the fats in the blood that are associated with heart disease. Fructose can make you fat. Blood triglycerides made from fructose are stored as fat, which increases the size of your fat cells, contributing to weight gain and obesity. Consuming high amounts of fructose on a regular basis can contribute to Non-Alcoholic Fatty Liver Disease (NAFLD), which even children are now getting from all the high-fructose corn syrup in their diets. Most brands of agave syrup are higher in fructose than HFCS. The excess triglycerides created when you eat fructose increase insulin resistance, thereby boosting insulin production to very high levels, which fosters the development of metabolic syndrome and diabetes in a “back door” fashion. Consumption of fructose has been shown to cause a significant increase in uric acid. An increase in uric acid can be an indicator of heart disease and can contribute to gout and other circulatory problems. Fructose consumption has been shown to increase blood lactic acid, especially for people with conditions like diabetes. Extreme elevations may cause metabolic acidosis. Consumption of fructose leads to mineral losses, especially excretion of iron, magnesium, calcium and zinc. This can lead to bone and tooth demineralization. Fructose can cause accelerated aging through oxidative damage. Fructose contributes greatly to the creation of AGEs (advanced glycated endproducts), which are proteins that have inappropriately bonded to sugars in your blood. Fructose is the worst of the sugars for this, and when it bonds to proteins, these molecules stiffen the cells in your body, inhibiting their function (they literally age faster). This is the cause of arteriosclerosis, kidney problems and aging skin—the very types of damage seen in diabetic complications. Ironically, diabetics have been advised to use fructose for sweetening because it doesn’t directly cause a glucose or insulin spike. But whether you are diabetic or not, there are many studies that link high fructose consumption to high blood pressure, high cholesterol, insulin resistance, and obesity. High fructose consumption from any source, including agave, does massive damage to your body. The Glycemic Research Institute announced that they have halted and banned all future clinical trials of agave, and legally “de-listed” and placed a ban on agave for use in foods, beverages, chocolate and any other products, due to results of 5 years of human in-vivo clinical trials on agave. Additionally, they have warned that manufacturers who produce and use agave in products can be held legally liable for negative health incidents related to ingestion of agave. In sum: Agave syrup is bad for you. Agave is not naturally sweet like sugar cane, honey or fruit. In fact, agave is high in polysaccharides, and typically requires an intensive, industrial process to extract its sweetness on a commercial scale. The main carbohydrates in the agave sap are complex forms of fructose called fructosans, one of which is inulin. In this state, the sap is not very sweet. To produce agave syrup, juice is expressed from the core of the agave, called the piña. This liquid (or sap) is then heated anywhere from 120°F t 140°F for about 36 hours not only to concentrate the liquid into a syrup, but also to develop the sweetness. When the agave sap is heated, the complex fructosans are hydrolyzed, or broken into smaller fructose units. The fructose-rich solution is then filtered to a product that ranges in color from light to dark depending on the degree of processing. An alternative method of processing the agave juice without heat (“raw” agave) uses enzymes derived from Aspergillus niger (black mold) to hydrolyze the polysaccharide extract into fructose. Excess water is then evaporated using heat lower than 115°F. Only a handful of companies use this method because it is labor intensive, and they cater specifically to the raw food crowd. Whether by heat and chemicals or by enzymes, this process destroys all of the nutrients and other health promoting properties of the agave plant. Today’s agave syrup is not a whole or traditional food. It is a factory-made, modern product made on an assembly line. For most of our long existence on this planet, humans have eaten very little sugar. Most wild fruit was much less sweet than the hybridized fruit available today, and unless you lived in a tropical region, there were very few fruit varieties, which were only available in their season and could not be stored well. Wild honey was rare and, as you can imagine, very hard to procure. It was only in the past 300 hundred or so years that we actively exploited Third World countries in part to ensure a steady supply of sugar cane for First World tables. And it is only in the past 150 or so years that we began to hybridize our fruits in earnest to make them sweeter, larger, and more prolific. It is even more recently that we began to grow and ship fruit on an industrial, international scale so things like strawberries and mangoes would be abundantly available all year round in all parts of the world. And most recently of all, we have been using modern industrial and chemical processes to manufacture sweeteners not found in nature at all, like agave nectar. Since that time, whether from fruit, honey, cane sugar, or hydrolized high-fructose syrups (corn, rice, agave), Americans have steadily increased our sugar intake up to the 130 pounds we each eat per year today. The epidemics of obesity, diabetes, heart disease, tooth decay and other degenerative diseases today would suggest that so much sugar from any source is maladaptive and harmful to our survival. So what’s a health-minded person to do? Choose the least-processed, natural sweetener you like best and use it in moderation. Your body will thank you! Abundance of fructose not good for the liver, heart, Harvard Health Publications, 2011. Adverse metabolic effects of dietary fructose: results from the recent epidemiological, clinical, and mechanistic studies, 2013. Fructose-Induced Fatty Liver Disease, Hypertension, March 2005. Fructose consumption as a risk factor for non-alcoholic fatty liver disease, Journal of Hepatology, June 2008. Dietary fructose and intestinal barrier: potential risk factor in the pathogenesis of nonalcoholic fatty liver disease, Nutritional Biochemistry, Sept. 2009. Consuming fructose-sweetened, not glucose-sweetened, beverages increases visceral adiposity and lipids and decreases insulin sensitivity in overweight/obese humans, Journal of Clinical Investigation, May 2009. Fructose, weight gain, and the insulin resistance syndrome, American Journal of Clinical Nutrition, 2002. A. E. Bergstra, A. G. Lemmens, and A. C. Beynens, Dietary Fructose vs. Glucose Stimulates Nephrocalcinogenesis in Female Rats, Journal of Nutrition123, no. 7 (July 1993): 1320-1327. Yes, yet most people don’t eat large quantities of plain agave syrup, but dilute it so the fructose concentration is close to that found naturally in fruits and just enough for a sweetening effect. I think some agave is significantly better than sucrose especially in cold drinks, because it tastes much sweeter so less is needed. Personally I’ve used agave for decades with good effects, but only with the Volcanic brand made from uniquely processed blue agave and which does not trigger fat storage or elevate blood glucose (available only from globalgoods.com). Also I eat only one meal a day as a natural preference and that helps to normalize blood sugar levels and body weight. Thanks for sharing this post at the HomeAcre Hop. I was excited to find agave syrup a few years ago, but after learning about the info you’ve given here, we quit. We now use honey or rapadura for the most part as a sweetener. Your info is always great! Hope to have you back again on Thursday morning. There are a lot of old references here to studies with results that have since been refuted. For example, studies have repeatedly demonstrated that the consumption of fructose by humans does not result in mineral loss or increase blood lactic acid levels. That latter also applies to diabetics and rather than a loss in copper, copper levels increased in subjects fed high amounts of fructose. Uric acid levels are not increased by fructose unless that daily intake is excess of 200 grams per day. That’s more than anyone consumes or would ever be likely to consume. In the U.S., the mean daily consumption of fructose is 49 g/day and no one, not even pop-swiggling teens, are consuming anywhere near 200 g/day. “Fructose can cause accelerated aging through oxidative damage”? Really? You don’t cite any references for that one. Let’s see the evidence from studies with humans. In the only human study I could find on oxidative results, glucose caused a significant increase in inflammation and free radicals whereas fructose at the same oral dose did not. And the Mercola-based claim of agave syrup not containing the enzymes found in the plant? Like him, you fail to name or quantify the enzymes or point out that numerous foods and herbal products are prepared with heat which would naturally result in the loss of enzymes, or that agave syrup has always been made with heat, even centuries ago by the Aztecs. Fructose can make you fat because it increases triglycerides? That’s only if you consume enough of it. How much is enough to increase triglycerides? Try over 100 g/day before they even so much as slightly budge in normal weight individuals. In case you haven’t noticed, the fructose-obesity hypothesis of 2004 has since been refuted on a number of grounds, including the notion that the consumption of fructose increased in the U.S. for the period to which the hypothesis applied. And the idea that non-alcoholic fatty liver disease is caused by fructose is another hypothesis. To your claim that “eating huge quantities of fruit is just as bad for you as eating a lot of table sugar”, please cite the human studies demonstrating that to be the case. The studies to date have shown that glycemic control is not decreased and weight gain is not increased in normal subjects or those with type 2 diabetes who consumed more versus less fruit. I’ve asked around for some years now and no one is using enzymes to make agave syrup. So-called “raw” agave syrup, made with lower temperatures and longer heating time, is widely available. As for agave syrups containing 92% fructose, just try to find one. That figure referred to the dry weight content with all the water removed. Although much higher than surveys are finding for the syrups, if one contained that much it would only contain less than 8% water and there would still be some amount of natural glucose. Question: How would you pour a syrup if it held only less than 8% moisture? First of all, this post is over 4 years old, so a little bit about the processing of agave is outdated, but that is all. Iidea’s blue agave syrup was 90% fructose. They are now out of business. However, Nekutli is well known for their use of enzymes in processing and the owner of Madhava (Nekutli’s brand outlet) is on record all over the net bragging about their low temp enzymatic process. But even with a low-temp process, Nekutli’s agave is ±79% solids, ±21% moisture—which is an outrageous amount of fructose. Even HFCS is only 55% or so. A few studies in this post might be a little dated, but more recent evidence makes agave looks worse than ever. Google is your friend here, and there are ample studies bearing out the hazards of refined fructose on metabolism and nutrient uptake. The marketing moguls portray agave as part of traditional Mexican culture, but it’s not. Called miel de agave or miel de maguey, genuine agave syrup is actually made from the sap of the agave plant (not the starchy root bulb, like commercial agave), and it is boiled for hours and reduced much like a maple syrup might be prepared. The result is a very dark, thick liquid with a characteristic smell and strong flavor that isn’t palatable to most Westerners. Even to this day this dark syrup liquid is used to treat several illnesses. The strong syrup has a high concentration of mineral salts such as calcium, magnesium, sodium and potassium, as well as amino acids. It has been consumed since prehispanic times. But this traditional food is nothing like the commercial stuff you see on grocery store shelves. With the exception of a couple of brands, the vast majority of all commercial agave syrups are highly processed. It takes many processing operations to convert the starchy carbohydrates of the agave piña into a liquid nectar, including using caustic acids, clarifiers and filtration chemicals and results in a syrup that is from 70% – 92% pure fructose. (source and source.) There is no world in which a processed, industrial food full of refined fructose would be recommended on this Real Food website. Now, when it comes to the harms of refined fructose on metabolism, there is a ton of evidence (see the long list of source footnotes at end of this article for starters. The rest are linked below). In fruit, fructose is naturally occurring and contains enzymes, vitamins, minerals, fiber, and fruit pectin which all help to digest and assimilate the fructose in the intestine. In contrast, refined fructose lacks amino acids, vitamins, minerals, pectin, and fiber and is metabolized in the liver where it may be a burden. Research also indicates that free refined fructose interferes with the heart’s use of key minerals like magnesium. More Research suggests that fructose actually promotes disease more readily than glucose. This is because glucose is metabolized by every cell in the body, but fructose must be metabolized by the liver. Animals studies show that the livers of animals fed large amounts of fructose develop fatty deposits and cirrhosis of the liver. Fatty liver disease and cirrhosis due to diet (as opposed to alcohol consumption) is increasingly common in humans too. Research has shown that in rats when fructose hits the liver with sufficient speed and quantity, the liver will convert much of it to fat. If this occurs chronically, it will induce insulin resistance — a condition that is now considered the fundamental problem in obesity and which leads to heart disease and type II diabetes. Furthermore, the science suggests that excess fructose consumption leads to tumor growth. Studies have shown that sugar and/or high fructose corn syrup (HFCS) actually drives the obesity epidemic. Additionally, many researchers also believe that it is sugar in the modern diet that provokes cancer. Current studies have shown that having insulin resistance actually promotes tumor growth, because in this condition the body has to secrete more and more insulin and/or insulin-like growth factor (IGF-1) and these chronically elevated insulin levels support malignancy. Fructose may also contribute to diabetes because it reduces the sensitivity of insulin receptors. This raises insulin levels and contributes to metabolic syndrome. Studies indicate that dietary fructose adversely affects macromineral homeostasis in humans. They suggest further studies are needed to see if a high fructose diet coupled with low dietary magnesium and marginal calcium leads to bone loss. Consumption of fructose causes a significant increase in the concentration of uric acid. An increase in uric acid can be an indicator of heart disease. As far as real, natural fruit goes, I am certain that eating 3 -4 pieces of fruit per day is just fine for most people. However, people who maintain frutarian diets (who are known to consume 50 bananas a day) are at grave risk of all sorts of health problems, starting with massive tooth decay. This is clearly too much fruit. ^ Basciano H, Federico L, Adeli K (2005). “Fructose, insulin resistance, and metabolic dyslipidemia“. Nutrition & Metabolism 2 (5). doi:10.1186/1743-7075-2-5. PMC 552336. PMID 15723702. ^ Mayes, PA (Nov 1993). “Intermediary metabolism of fructose“. Am J Clin Nutr. 58 (5 Suppl): 754S–765S. PMID 8213607. ^ Buemann B, Toubro S, Holst JJ, Rehfeld JF, Bibby BM, Astrup A (Aug 2000). “D-tagatose, a stereoisomer of D-fructose, increases blood uric acid concentration”. Metabolism 49 (8): 969–76. doi:10.1053/meta.2000.7724. PMID 8213607. ^ Davis, W (Saturday, December 06, 2008). “Yet another reason to avoid fructose“. The Heart Scan Blog. Archived from the original on 10 October 2010. Retrieved 2 November 2010. ^ Ouyang X and others. Fructose consumption as a risk factor for non-alcoholic fatty liver disease. Journal of Hepatology. 2008 Jun;48(6):993-9. ^ Fields, M. Proceedings of the Society of Experimental Biology and Medicine, 1984, 175:530- 537.; Ivaturi R and Kies D. Mineral Balances in Humans as Affected by Fructose, High Fructose Corn Syrup and Sucrose. Plant Foods for Human Nutrition 42, No. 2 (1992): 143- 151. ^ Levi B and Werman MJ. Long-term fructose consumption accelerates glycation and several age-related variables in male rats. Journal of Nutrition. 1998 Sep;128(9):1442-9. ^ H. Hallfrisch, et al.,The Effects of Fructose on Blood Lipid Levels, American Journal of Clinical Nutrition, 37: 5, 1983, 740-748. Agave syrup is not made from the root bulb of Agave or, as many others claim on the Web, from starch. The root is removed before the so-called “heads” (stems) are harvested which contain less than 1% starch. And let’s see the supposedly high concentration of minerals in the traditional syrup. If you had tried it, you would know that’s its so dark and strong-tasting that it can’t be used as a sweetener without seriously impacting the flavour of beverages and foods and darkening them. As for the syrups being “highly processed”, that’s just hyperbole from Dr. Mercola and the Weston A Price Foundation. Given the similarity in the way they are made from the sap of a plant by heating, filtration, and evaporation, you could say maple syrup is “highly” processed. You claim that Iidea is “out of business”, but when I checked online, I found the Iidea Company is still making agave syrup and very much in business. Nekutli has to my knowledge not been using enzymes and they haven’t supplied Madhava with agave syrup in years. If their syrup contain 79% solids, that doesn’t mean the solids were all fructose because the syrup also contain glucose, although much less than that in HFCS. 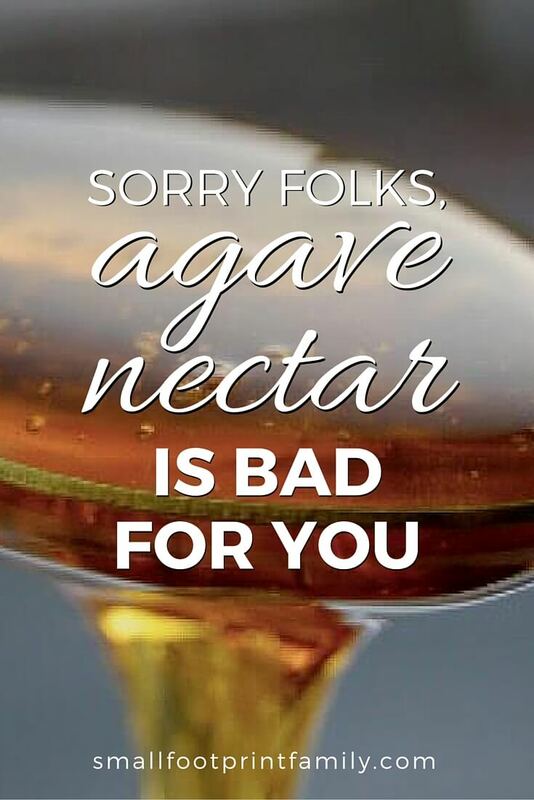 In 2009, Dr. Mercola had an independent lab analyze 3 of the popular agave syrups sold in the U.S. for fructose by wet weight, meaning the amount in the form you buy at the store. Madhava contained close to 64%; Wholesome Sweeteners brand contained 67%; and NOW Foods brand contained 59% fructose. In terms of glucose, NOW Food brand also held 12.8%; Madhava’s syrup contained 10.1%, and Wholesome’s brand contained 5.8%. The low glucose contents would explain their low glycemic value compared to HFCS or table sugar which supply much greater amounts of glucose. In a survey of 19 agave syrups, the highest content of fructose by wet weight was 70.08% and the lowest content was 54%. Glucose contents were 3.6% to 11.4%. Forshee RA, Storey ML, Allison DB, et al. A critical examination of the evidence relating high fructose corn syrup and weight gain. Crit Rev Food Sci Nutr. 2007;47:561-82. Sun SZ, Empie MW. Lack of findings for the association between obesity risk and usual sugar-sweetened beverage consumption in adults–a primary analysis of databases of CSFII-1989-1991, CSFII-1994-1998, NHANES III, and combined NHANES 1999-2002. Food Chem Toxicol. 2007;45:1523-36. Swinburn B, Sacks G, Ravussin E. Increase food energy supply is more than sufficient to explain the US epidemic of obesity. Am J Clin Nutr. 2009;90:1453-56. Song WO, Wang Y, Chung CE, Song B, Lee W, Chun OK. Is obesity development associated with dietary sugar intake in the U.S.? Nutrition. 2012;28:1137-41. White JS. Challenging the fructose hypothesis: new perspectives on fructose consumption and metabolism. Adv Nutr. 2013;4:246-56. Rippe JM, Angelopoulos TJ. Sucrose, high-fructose corn syrup, and fructose, their metabolism and potential health effects: what do we really know? Adv Nutr. 2013;4:236-45. Insulin resistance? Not from daily doses of fructose at up to 120 g/day, which is far higher than the mean of 49 g/day in the U.S. See: Cozma AI, Sievenpiper JL, de Souza RJ, et al. Effect of fructose on glycemic control in diabetes: a meta-analysis of controlled feeding trials. Diabetes Care. 2012;35:1611-20. Contrary to what the Weston A Price Foundation claims, agave syrup is not being made with caustic acids. As for what you refer to as “clarifying chemicals”, what are they? The so-called chemicals listed by the Foundation are in most cases not chemicals at all but brand names of products, including one for a type of activated charcoal (Clarimex) and another for diatomaceous earth (Dicalite), both of which have long been used to filter water. Agave syrup is certified organic so some of the would-be chemicals couldn’t be used. If you check, you’ll find the same names were obtained from a long expired patent proposed for making the syrups but that no one is using but that the Foundation and Dr. Mercola presumed to be in use. For uric acid levels, you cite one study in 9 males for which a dose-dependent increase in serum levels was not found. Weigh that against 21 controlled clinical trials in which uric acid only showed a significant increase from 213 g/day or higher doses. See: Wang DD, Sievenpiper JL, de Souza RJ, et al. The effects of fructose intake on serum uric acid vary among controlled dietary trials. J Nutr. 2012;142:916-3. I conducted my own search for any and all studies that measured uric acid levels in humans following dosses of fructose and arrived at essentially the same conclusion two years earlier. As for uric acid being an indicator of heart disease, no one has demonstrated that it causes heart disease. It may be marker, but it’s not an established factor in the disease and no one is consuming 213 g of fructose per day. The matter of minerals and fructose consumption was reviewed in 1993. The body of studies found mineral absorption enhanced by fructose (see: O’Dell BL. Fructose and mineral metabolism. Am J Clin Nutr. 1993;58(5 suppl):771S-8S). In a further randomized crossover study, subjects consuming an extremely high experimental dose of fructose (145 g/day) showed increased absorptions of minerals, including calcium and magnesium. See: Holbrook JT, Smith JC Jr, Reiser S. Dietary fructose or starch: effects on copper, zinc, iron, manganese, calcium, and magnesium balances in humans. Am J Clin Nutr. 1989;49:1290-4. As for studies in rats showing that if sufficient fructose “hits the liver with sufficient speed and quantity, the liver will convert much of it to fat”, rats convert way more carbohydrate such as fructose to fat than we do. In people, it’s about 3% whereas in rats, at least 50% of the carbohydrate is made into fatty acids or what is known as de novo lipogenesis. For a candid discussion on the subject, search online for: Fate of fructose: Interview with Dr. John Sievenpiper. Evolving Health. May 26, 2012. Thank you for making my case. True traditional miel de maguey is not made from the piña at all, and it is not palatable to Westerners as a sweetener. This is in contrast to the high-fructose refined agave syrups mass-produced today (which you so kindly pointed out the ridiculous fructose amounts. I don’t read Mercola so I wouldn’t have found those numbers.) From the very numbers you have provided, it is indeed High Fructose Agave Syrup–as bad, and often worse–than High Fructose Corn Syrup. I should have been more specific, the fructans and inulin from the agave (complex polysaccharides similar to starch) need to be processed chemically, thermally or enzymatically to become palatable. And blue agave seems to be processed very differently than agave salmiana as well, the former requiring more industrial processing than the latter. The owner of Madhava is on record all over the net, as far back as when Nekutli was supplying them, describing and defending his “vegan enzymatic process” for producing raw agave without heat or chemicals. He was under fire from raw foodists for calling his product “raw,” since making agave traditionally requires heat. I’m not sure what your vested interest is in encouraging people to eat processed sweeteners, especially on this site. At this point we are just dueling studies. Your short list does not sway me from the dozens and dozens of more recent studies (linked in my previous comment) looking at fructose and glucose metabolism and metabolic disorders, not to mention the extensive work of Dr. Lustig, Gary Taubes, and others. Just as there are studies still going around that say that dietary cholesterol causes heart disease, corn syrup is good for you, and GMOs are perfectly safe and harmless, there’s a study to support most points of view. But the overwhelming majority of evidence points to the bottom line: Americans consume far too much processed sugar, including and especially fructose, in just about everything, and our national health suffers enormously because of it. We have more and more children with diabetes and fatty liver disease from eating a diet full of HFCS and empty calories. The last thing we need is yet another refined sweetener! The standard American diet is already nutritionally bankrupt enough. This site advocates a factory-free diet for health, self-sufficiency and environmental reasons. I don’t advocate any food that your great-grandmother wouldn’t be able to recognize or even produce herself given the raw materials. This would rule out 99% of all industrially-produced agave syrups (as well as vegetable oils, margarine, white sugar and other industrial pseudo-foods). If you’re grandma makes homemade miel de maguey the old fashioned way, like some of the abuelitos where I live, more power to you. Otherwise, I always advise sticking to the kind of whole food, minimally processed sweeteners that can be made at home or procured locally: honey, real maple syrup, sorghum, panela, jaggery, etc., and using them in extreme moderation. Kudos! Finally, someone that know’s what they are talking about! Same here… ad about a year later (last year) tossed it all…. This article was a real eye-opener for me – not to say a little depressing! Really need to do more research before just accepting some of these things as OK. What is a safe sweetener? Moderation of course always the best way to go with any of these things. I saw your post in the Farm blog hop and it was my first choice to read because I have friends who are proponents of agave syrup. I read the whole post and am so glad I did . There is so much in this post worth re-reading and also to use in response to proponents of agave syrup. Thank-you ! I think one small seemingly insignificant thing you said really says it all ..”moderation”. If we practice moderation in all things, including diet, we would be far more healthy people physically, intellectually, and emotionally. Thank-you. I’m sticking with stevia and honey. My favorite dessert is cottage cheese mixed with strawberries – nothing else – and it tastes just like strawberry ice cream! Who needs sugar, or agave, or any of those other fake sugars anyway! Thanks for the great article! There is life beyond Sugar! Okay we said that out loud. Our perceptions of sweetness may be also an important factor to consider in deepening our need for sweetness overall, what is our dictator tongue telling or indicating to us? It would appear that many of us are consuming way to much sugar in its myriad of forms, affecting our own “sweetness meters”. To do portend to be an expert on anything, hold the adage the more I learn, the less I know. Why not consider ‘resetting’ our “sweetness meters”, by eliminating all sources of sugars, fruit, veg sources as well. White rice, white potatoes, carrots, beets are just a few sugar sources. Certain you can dig up a better list, I could as well. Will do sometime soon, in the meantime, back to my comment. We eliminated all sources of sugars and sweetness, save our love for one another, for eight weeks, — promise it gets easier as you remain devoted to the quest. After 8 weeks of sugarless, existence … we celebrated the incredible sweetness of a red pepper. Red pepper was like candy, pure candy. That became our choice for dessert for some time after that. After we start allowing sugar sources back into our lives, we failed to notice how sweet the red pepper was. IT was as if some of those sweet things, though natural sources, left the back door open for the other sugar demons to sneak back into our dance of life, if you will. Agave, even though we also had the best, truly raw agave, use to sell it as well, no longer do, for a myriad of reasonings that make sense to us. After eliminating sugar for just 8 weeks, even 6, you will have reset your “sweetness meters”, then you will know directly from personal experience what we are sharing with you here today. It is awesome. Have to say: Raw Agave at the beginning was just a part of an opening to our SHIFTING awareness, the source we had was truly raw and low heat processed. Even as such, like mentioned, was used only as an occasional treat, we have gained the wisdom the importance and reward is that as we recalibrate ourselves and live more in harmony with all of life, the call for sugars drop off, they become less sought after. An ancient adage, “Eat more bitter foods, and have a sweeter life” is about finding and maintaining balance overall. Bitter foods may be what will assist you greatly in your healing process. Over processed foods are for the lazy and the uninformed and the unwilling to put ourselves back into our own food preparations, seriously, it is not that challenging overall. Just our, just my opinion, but then again that is what the comment box is for. The mission of your blog, site is to empower us to reduce our personal imprint on the planet, we celebrate that. Learning more of what makes us tick, especially when it comes to what we deem as food and what we do with it, will facilitate us to reaching that common goal. When we first transitioned to becoming raw, becoming vegan became more doable for us, and started to make more sense on a nutritional level, for us. As we became more raw and vegan, we found our bodies better able to function and as a result started to actually gain more from eating less, we were ridiculous and we can look back and laugh at our little understandings back then. After awhile of sustaining ourselves on raw, vital foods, we realized that we could not finish what we put on our plates, in our bowls, our bodies were more fully satiated with less, for what we were putting into our bodies, was more nutrient rich, denser nutrition, we did not need the bulk. Our bodies began to slim as well, and the weird sensations we were having, we learnt to understand that was just us, unhooked, off the ‘white crack’ of the western world, interrupted the ‘mainlining of sweeteners of any source’, and found a suitable balance for ourselves. Whoa loves, what a ride it has been to emerge with a greater clarity and healthier personalities as well. If we want ketchup, if we want mustard or mayo, for instance, we make that ourselves as well. IF we want nut mylk, we make that too. We stop using commercially made body products as well. Do you have any idea what is in your beauty, health and or body products? YIKES. We stopped the toxic assault on our personages and eliminating hidden sources that were stressing our immune systems out. We had to work it out with our garbage collectors as they were getting increasingly hostile & frustrated towards us on not having, oft times no garbage to pick up, we now leave our can lid inverted if there is nothing there. Peace has been restored. This shift has lessen our imprint, we consume less, we continue to shrink our footprint, our lives are more enriched, more meaningful, we are living a more healthy and sustainable lifestyle. Mindfulness is greater part of our sacred experience of existing in a world full of confusion. Why didn’t you just not put out your empty garbage can? It seems redundant to put out nothing. How is it possible to have an organic certification and be made with chemicals? That patent application is old and is not how agave nectar is made. We personally went to Mexico to ensure we know how our agave nectar is produced. It is made by physically juicing the heart of the agave plant (the pina), adding water, and cooking for 36 hours. After 36 hours, the excess water is evaporated off and the agave is filtered to produce agave nectar. Our agave nectar is Certified Organic, and no chemicals are used in making it. I do believe, but have not confirmed, that what retailers are selling is all certified organic agave nectar. I encourage you to think critically and do your own research on these matters. The debate about fructose is an entirely different matter. If you are against fructose, I recommend not eating most fruits, which are comprised of very high levels of fructose. There are many, many food chemicals allowed in organic processing, like carageenan, guar gum, genetically engineered DHA, hydrolized proteins which resemble MSG and more. This is the cost of major corporations taking over the food industry and watering down the standards for organic processed foods. While it is great that you have a minimally processed syrup, agave still contains substantially more fructose than whole fruit, and often more than even high-fructose corn syrup—which is the thrust of my article. Excess fructose consumption, including from eating a lot of modern, hybridized fruit, is harmful, but at least the fruit has vitamins and minerals. Agave is concentrated fructose without any nutrients or fiber—just like HFCS—which is why it is just as bad for your liver and your general health as corn syrup, no matter how it is produced. Given that most recipes call for 1/2 to 2 cups of the stuff, people should not be fooled into thinking that agave is somehow a healthier choice than old fashioned Rapadura cane sugar, maple syrup or honey. It’s not, and if you have undiagnosed metabolic dysfunction, pre-diabetes or diabetes, it can be downright dangerous. Dawn, We could debate the type of sugar/how much sugar question in perpetuity (not my purpose here). My primary issue with your article is that the facts are not correct regarding the production of agave nectar. Agave is made, quite simply, by mechanically juicing the root ball and cooking it with water. No chemicals are added. I assume you want to be accurate in your journalism. It is true that a patent application exists to make agave nectar using a similar chemical process to making HFCS. Nevertheless, the existence of such a patent is not conclusive proof of the production method. We went down to Mexico and toured three production facilities to confirm for ourselves how agave is made. If you have some proof that agave is manufactured as you say it is, please do share that with me. If you have no conclusive evidence, I would appreciate if you consider restating this portion of your article. First, you are commenting on an article published in 2009, when the data was 100% accurate. At the time, I lived on the U.S. Mexico border (still do, in fact) and did my own investigation into brands like Madhava among others, and I will not retract what I wrote. If, thanks to market demand, there are more companies doing something less industrial today—almost 4 years later—that’s great. But it’s emphatically not the point of my article—which is about avoiding agave because of the fructose content. Second, you have a monetary interest to protect by commenting here. I really don’t care how you make your agave. You could have the most sustainable, low-tech process in the world, be fair trade, zero-waste AND solar powered, and I would STILL write again and again that agave syrup is poison to the liver and metabolism and should be avoided for the same reasons one would avoid HFCS. If people want to mess with their metabolism and buy high fructose agave syrup made using less industrial methods, they are free to get it from you. But that doesn’t change the fact that most of the agave sold in the U.S. is made by major corporate food conglomerates that care only about the bottom line and use the cheapest industrial processes to create the product. This will only increase as demand for agave grows because people have been MISLED to believe that it is somehow healthier than sugar or HFCS. You’ve made your “production method” case only for the product you sell. Oogave is an exception to the industrial rule, according to you. Good on ya for that, but you’re still selling high-fructose soft drinks, and this is a Real Food and nutrition blog. Sorry, no love here. I suppose I’m commenting on a 2009 article because it keeps coming up in the blogosphere. And I am not hiding the fact that I have a vested interest in people having correct information about how organic agave is produced. At the end of the day, what is important to me is understanding why people have the perception that agave is made with chemicals like corn syrup, so please email me whatever facts/evidence you gathered. It is incredibly important to me as agave is the primary ingredient of our products. I really am not interested in debating fructose. That is an entirely different discussion. Nor am I looking for your approval of my product. I’ll say in closing that we believe water should be consumed for hydration, and soda as a treat. That’s why we don’t package in 2-liter bottles. I’ve been wanting to look into agave for such a long time, but kept putting it off because it just seemed a little “off” to me. So thanks for this very informative post and letting me know not to waste my time on it. 🙂 I’ll stick to my raw honey, which we’re trying to reduce our consumption of anyways.. I think the most interesting fact I learned was the timeline… You’re right, it’s ONLY been 300 years since the industrialization of sugar production; and like so many other aspects of our society, we don’t stop and think what our ancestors did before then. And you come to realize some very basic and simple truths about their way of life. Thank you so much for posting this important information, Small Footprint Mama. Your blog is a wealth of health information! And the comments everyone has contributed are so very worth reading through. Thank you to all who took the time to comment on this post. How frustrating is it that a simple action like eating can require so much intense study, scrutiny, and DEBATE! What a wonderful world it would be if we could all go to the grocery store and find only REAL FOOD!!! Ah well, a girl can dream! I have been posting about our transition from a SAD diet to raw here http://revoltofthebarbarians.wordpress.com/2012/05/24/health-matters-?-from-sad-to-raw-8-weeks/, and want to do a post about agave too. The more posts the better to get this information out. I would like to include a short excerpt from here with your link, síl vous plait. Welcome, Mother Barbarian (what a great name!). Sharing (with a link credit) is always caring! I wish you abundance and health in your Real Food journey! just found your blog while searching for info on agave. Thanks for an awesome and informative post. Love the comments it generated! Educating the public about the adverse effects of processed foods is so important! Shared on facebook! I don’t like to use agave at all myself. I know some people find it doesn’t bother them, but agave gives me headaches just like corn syrup does. I eat a relatively good amount of fruit and have no problem with it, or even using honey or dates, just agave and corn syrup. BTW, diabetes isn’t caused just by high sugar intake, it has to be high sugar plus high fat intake. So when you have sweet deep fried or greasy packaged foods with sugar in them this can compound people’s blood sugar issues and put them over the edge. If you have some can sugar, honey, or dates with a whole food diet (no oils or large amounts of fatty foods) you don’t get these blood sugar issues. I wish people would realize that refined oil is even worse for your health than refined sugar, because we can use sugar for energy, oil is much more work for the body to process for fuel and is easier to store as fat. Hence why woman stay overweight or gain weight eating really fatty salad dressings every day, or when they pour olive oil or coconut oil all over their food and don’t understand why. I think Omega-6-laden, polyunsaturated refined oils like canola, corn, soy, etc. AND excess sugar BOTH win trophies for wrecking the health of Americans! I’ll have to disagree strenuously with you about the benefits of a low-fat diet, however. It only works for some people, and the type of fat makes a big difference. It has been well demonstrated both by older studies and by the latest science in the past year that saturated fat and cholesterol does NOT cause disease in a balanced, whole food diet. Furthermore, latest studies indicate that Omega-6 oils harvested in the autumn (like canola or corn) trigger the body to store more fat, whereas Omega-3 oils harvested in the spring (like from fish or flaxseed) can help the body release weight. Additionally, coconut oil and other saturated fats are well known to help the body release weight, especially in combination with a reduced or low carb diet. Any excess glucose in the bloodstream that is not used for energy is TOXIC, and immediately converted and stored in the body as FAT. Similarly, any excess fructose in the bloodstream is converted to harmful triglycerides—which can lead to diabetes, atherosclerosis, and non-alcoholic fatty liver disease. Sugar is also physically addictive, unlike fat. Since very few Americans get any significant exercise, a processed food diet full of glucose, fructose and Omega-6 oils is almost a guarantee of malnutrition, obesity and disease. For these reasons, I, like many professionals, consider excess sugar/carbs in our diet to be a far more pressing problem to public health than excess salad oil. For more info and links to these studies, see The Skinny on Fat, Part 1 and Part 2. No sweetheart, all sugars are bad for you. We use raw honey because it is convenient and GAPS-legal, but if I have time, or if a recipe especially calls for it, I will use date paste. Both have similar amounts of fructose/glucose, and both are natural, whole raw foods that are much higher in nutrients and lower in fructose than the typical agave syrup. I don’t know of any studies comparing the two however. I just wanted to share my experience with agave. I was using it on a regular basis about 3 years ago. I had a frightening experience multiple times after eating something with agave during the day. At night, I would jolt awake with tingling and numbness in my head, legs or arms. In about a minute from waking up I would get very cold. Standing up a would be very dizzy, with my muscles in my legs barely able to hold me up, within a few more minutes I would start convulsing. Not terribly, but not controllable. I’d have to get into a very hot bath and would return to normal in about 30 minutes. I couldn’t figure out what the issue was. Went to a neurologist, had a eeg and other tests. Everything came back fine. I finally put 2 and 2 together realizing this only happened the days I ingested agave. Once I removed it from my diet the episodes completely stopped. The other issue I had was during that time I started developing pain in my liver area. Since then I get pain in that area with sugary foods. About a year after I went off of agave, I took a swig of my husbands soda that contained HFCS (of which I completely keep out of my diet). That night I had another episode like the ones related to the agave. Watch “Sugar: The Bitter Truth” by Dr. Robert Lustwig. http://www.youtube.com/watch?v=dBnniua6-oM Forward to 16:30 where he talks about fructose. I’m convinced it’s toxic! I’m convinced excess fructose is toxic too, particularly when it comes from processed sources like agave, HFCS and packaged foods. Thank you for sharing your story! Your article is informative and very well-written. However, I cannot help but observe that your references are down-right ancient: 1984, 2002, 1983, 1978, 1990, 1993, and 1995. Why so old? Could you not find anything more recent? In academics and research, it is best to use references 5 years old or less, unless its a historical or original body of work. This gives me pause. With all due respect, the research on the effects of fructose on the liver have been well established decades ago, making this information scientifically HISTORICAL. It is uncommon and very costly for scientists to continually study what has already been well proven. However, I’ve added two newer links to studies that build off of the work previously sited in the post. This stuff is easy to Google, because the dangerous effects of fructose and high-fructose syrups on the body is hot news right now. What can you tell me about LAKANTO in place of sugar. I know i paid $40.00 for 2 lbs where they said it did not effect you blood sugar. I use it rarely because of cost. I am a diebetic trying to get off of insulin. Trying to cut sugar down to 15 grams a day. I do not know much about Lakanto, but I do know that even a sweet TASTE in your mouth can stimulate a negative metabolic response in your body if you have diabetes or pre-diabetes. I am not a doctor, but I have seen many people get off of insulin and reverse their diabetes on a 100% whole food, reduced-carb and grain-free diet–consuming less than 150 grams of carbohydrate TOTAL a day (for life), and making up the calorie difference in good fats from clean, pasture-raised sources. This means no processed, prepared foods, little fruit, and no sweeteners except honey on special occasions, instead eating as much fresh vegetables, coconut oil, avocado, nuts, grass-fed butter, eggs, fatty cuts of meats, seafood and lard as you wish. I reversed my pre-diabetes this way too, and lost a ton of weight. This is the style of eating I advocate on this blog for both health and environmental reasons. Honey and date paste are also high fructose sweeteners. Raw honey, however, has so many other health virtues, it can, and should be enjoyed in moderation. Glucose in the form of dextrose is available and is devoid of fructose. I remember when fructose came out on the health scene as the great replacement of the evil sugar. I drank Hansen’s sodas because they were fructose sweetened. I was hood winked by agave as well, and it may have been the cause of my recent rampant tooth decay that struck overnight. Stevia has a weird taste. Xilatol can’t be substituted for sugar and used only in small amounts. I guess we are just not meant to enjoy the sweetness levels that we grew up with. Less really is more once you lower your threshold. Agave could be enjoyed in moderation I suppose like honey. Me? A little maple syrup does the trick and I buy my chocolate 80% cocoa and above (not much room left for sugar). Thanks for the info. Bittersweet is right. Hmm, date paste? Is this something you make yourself using dried dates? I don’t think I’ve noticed it with alternative sweeteners in health food stores. Thanks for your comment, Tamara! You won’t find date paste at the store, but it’s easy to make. I make date paste with just dried dates and water. Ideally, the dates shouldn’t be too dry, but if they are, soak them in water for several minutes to soften them a bit. I then put the dates in a Vitamix or food processor and add just enough pure water to make a paste, which I then use that in lieu of sugar in many recipes. It’s also easy to store for a week to spread on toast, fruit or even a nice prosciutto. I also use stevia, grade B maple syrup, and unrefined raw honey as sweeteners in moderation. If I must have a granulated sugar (which is rare), I use whole coconut palm sugar. Generally though, because I have to watch my blood sugar, the only sweet foods I eat these days are fresh, whole, in-season fruits, homemade coconut yogurt and coconut kefir. Thanks for the info. Your explanation makes a lot of sense. Please keep me posted on low glycemic alternatives for baking etc. I’ve heard that palm sugar is low glycemic…? Coconut palm sugar is lower glycemic than many sweeteners, and often is packed with minerals. It is the only dry sugar I will use—which is only 2-3 times per year. But all sweeteners (even fruit) should be used in extreme moderation by diabetics, especially those whose diabetes requires medication. Stevia is the safest choice for diabetics, and comes in a 1-for-1 granular form now for baking! Hmm, I’m guessing they had a ncrtool variable as they tested fructose and glucose as well. This is a Princeton study on HFCS, not a Star Enquirer story. Maybe its one of the earlier studies indeed, but to deny it outright seems to jump to conclusions. But I agree, maybe it’s a jump to say it is definitively bad for you.The fact that HFCS effects the body similarly to refined sugar doesn’t make it safe or good for you. Both contribute to rises in insulin levels and mass consumption lead to diabetes and obesity as you know. Thanks for the info. I will take this out of my kitchen! What is your take in brown rice syrup as a “natural” item? All the syrups made from non-sweet foods (agave, rice, yacon, corn) must be highly processed and concentrated to become sugar-sweet (some more than others, like corn). They are all also very high in fructose, and should be eaten in moderation. Or not at all if you have pre-diabetes, hypoglycemia, metabolic syndrome, insulin resistance or related conditions. Hi, I wish you all the best in your efforts to watch your sugar intake. I’d like to suggest that you might squeeze in one more bit to read before making your final decision. I do not work for any agave nectar company, nor does anyone pay me anything to be pro-agave at all. I’ve just done some of my own research due to my sugar sensitivity and contacted the head of Madhava directly to ask him for comment. I invite you to please see his comments and share them with your readers so that they can see both sides of the story: http://alteredplates.blogspot.com/2008/12/madhavas-craig-gerbore-responds-to.html . Good luck in all your efforts. very information – thanks for clarifying agave for me. i’m going to toss my agave out now!! Thank you for posting this insightful article. I had toyed with the idea of using agave, but now I know to avoid it. Wow! What a surprise – I had no idea that agave was so highly processed. I wasn’t a huge fan of it to begin with, preferring my local raw honey, but now I will definitely cease to purchase this sweetener! I don’t allow any HFCS in my house and it looks like the same rule will now have to be applied to agave. I have to disagree with you on this. Raw, sweet fruit in it’s whole state is our optimal fuel. It’s satisfying (both in volume and in calories), it’s water-rich, full of water soluble fiber, and packed with nutrients and vitamins vital for human health. Tender greens and non-sweet fruits are great as well, but do not provide much in the way of calories. They can in no way sustain us like sweet fruits can. The only time that sugar presents a problem is when there is an excess of fat in the blood. The fat prevents the insulin from the pancreas from reaching the sugar and transporting it out of the blood. The sugar remains in the bloodstream for too long and the pancreas continues to send out more and more insulin. This can lead to Candida overgrowth as well as Diabetes. Thanks for posting! I agree completely that whole, organic fruit is a healthy part of any diet for sure, and many fruits are our best sources of bioflavonoids and other important antioxidants and phytochemicals. But today’s fruit is significantly sweeter, less fibrous and more abundant than the fruit we ate even just 200 years ago, and this must be taken in to account when considering how well or poorly some people are able to tolerate eating a lot of it. Eating a lot of fruit is not good for everyone. No one diet fits all. I for one cannot tolerate eating more than 2-3 servings of high-fiber, low-glycemic fruit a day, with a meal. I find that fruit can make my blood sugar spike, my head spin, my heart race, my mood poor, and eventually, my candida grow rampant—especially when I eat it alone or first thing in the morning. For people with blood sugar issues like myself, whole fruit needs to be combined with protein and other food in order to not have our glucose go through the roof! Both my blood sugar, weight and energy levels fare much better when a good portion of my calories come from foods like nuts, seeds, coconut oil, avocado and fatty fish. While fruit can provide a lot of calories to a healthy person who chooses not to eat much fat, glucose and fructose are not humankind’s optimal fuels, they are simply easily burned fuels meant to give us a boost when we need extra energy. There is substantial evidence to suggest that we are healthier with fat as our main calorie/fuel source, but most Americans eat a high-sugar, high-carb diet (whether SAD or vegan) and have become very poor fat burners as a result. Diabetes has only increased as our rate of sugar consumption has increased, but the peoples who eat the most fat and the least sugar, such as Inuit who eat their traditional diet, have no diabetes in their population. Studies of long-lived, healthy peoples around the world suggest that health and lifespan is determined by the proportion of fat versus sugar people burn throughout their lifetime. The more fat that one burns as fuel, the healthier the person tends to be, and the more likely they will live a long time. The more sugar a person burns, the more disease ridden and the shorter a lifespan a person is likely to have. Even though fat is our body’s best fuel, our bodies burn sugar first if it is present in high amounts. High levels of sugar are damaging to the body so the body wants to get it out as quickly as possible. It burns what it can, stores what it can as glycogen, and then converts the rest to saturated fat. When our cells develop a habit of burning sugar instead of fat, it sets the stage for a number of health problems. You said, “The only time that sugar presents a problem is when there is an excess of fat in the blood.” What is more true is that fat only presents a problem when there is an excess of sugar in the blood. When insulin is carrying more blood sugar than your cells need for energy, it stimulates the production of triglycerides in the liver. Simply put, it is excess sugar that causes fat in the blood! This becomes a vicious cycle that leads to leptin and insulin resistance. The main way out of this cycle is to eat a low-carb/low-sugar diet, because—all the vitamins, minerals, fiber and enzymes in fruit notwithstanding—when it comes to blood sugar, the body doesn’t differentiate between fructose from corn syrup and fructose from a lot of hybridized, high-glycemic fruit. When you burn fat as your body’s primary fuel, your cells eat fat even when you’re not eating. When your cells need energy, they can get it from your fat stores—including from any unhealthy fat stored in your abdomen, liver or arteries. And when you eat fat, your body sends your brain a signal that it is satisfied, and you don’t get hungry as often as you do on a high-carb/high-sugar diet because your cells are being properly nourished. Our prehistoric ancestors actually ate a lot more fat than we do today, and did not eat grains or much fruit because they weren’t often available. They had no choice but to be fat-burners, and not surprisingly, their bodies were leaner, their bones stronger, their teeth healthier, and they did not appear to suffer from the same chronic diseases we do today. I’m not suggesting that they ate an optimal diet, but ironically, they probably ate better than most Americans do today. So I still maintain that while whole, organic fruit is a great nutrition source that should be consumed by everyone, for many people, eating large quantities of it as a major source of calories can be just as bad for you as eating a lot of table sugar. Isn’t fructose scary – at least a little bit? Two years ago I decided to eliminate HFCS from my diet and I have been simply APPALLED at all of the places HFCS, corn syrup, fructose-type additives show up. UGH! Great article – I’d like to share it with a support group that I lead. I think they’d really appreciate it! Yes, HFCS is everywhere, in the places you’d least expect often. Now agave is the darling of the health food industry, posing as a healthy HFCS alternative, but it really should be labelled HFAS (high fructose agave syrup). Now the handful of brands of agave that are processed using A. niger and lightly heated are somewhat better, they are still high-fructose and should be used in moderation, if at all. Great article. as a holistic nutritionist here in California, I warn people about agave all the time. Thank you so much for the great article. I too came by Food Renegade. I am particularly thankful for your very useful footnotes! This post was incredibly interesting and informative. I appreciate the time and effort you’ve taken into researching and presenting this topic! I tried agave for a while, but never really took to it. I haven’t given it much thought since. I was shocked to read just how highly processed it really is! Great article! I’ve been meaning to do a post on agave syrup for a while now since I’ve been getting so many questions about it — particularly after my recent article on liver health in which I mentioned offhand that agave is not a “natural” sweetener and was hard on your liver. Now I can point people to your post! Thanks for sharing it in today’s Fight Back Fridays carnival. Thanks! That means a lot to me coming from you! I just discovered your site through Food Renegade. This is a great article. Thanks so much for getting good information out there in an entertaining format. I plan to keep reading!